Jo Morton is a quilt & fabric designer I have followed for a long time. 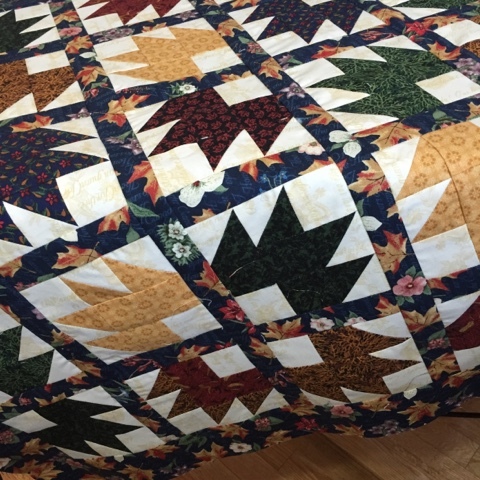 Her civil war inspired fabrics and interpretations of traditional piecework are what I love most about quilts. 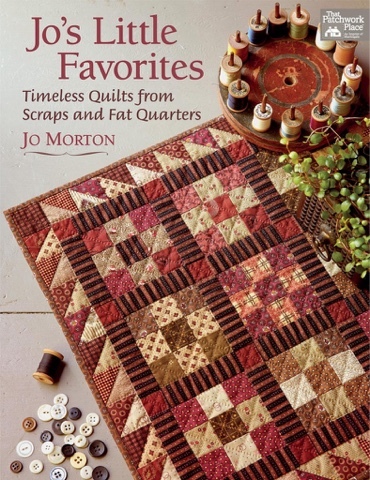 This is her latest book, full of little quilts and I hope to make my version of all of them. 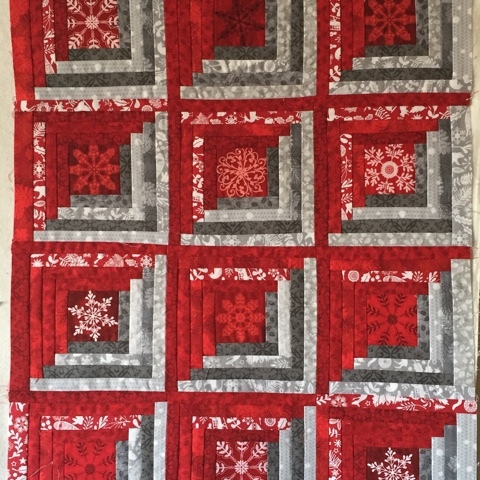 My first project from this book is a log cabin from some Christmas red & gray prints from Henry Glass fabrics. The snowflakes look great fussy cut and the little logs finish at 1/2". 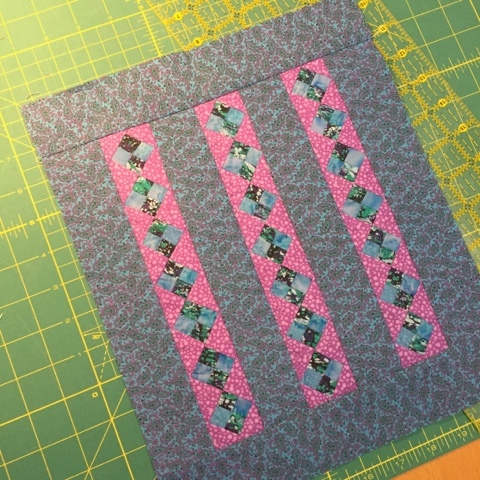 I'm still deciding how to quilt this mini quilt but its going to look great! 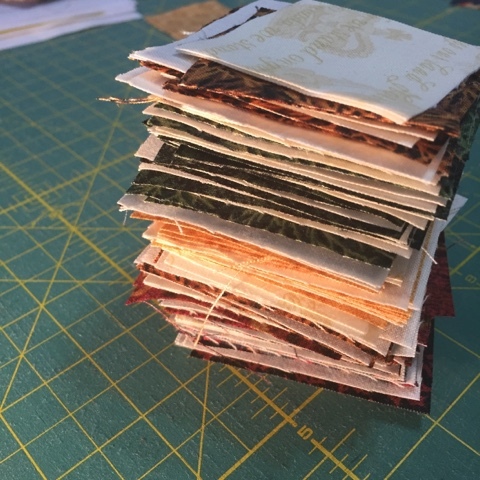 I'm having fun making miniature quilts this year. This one is made from my scraps of blues with purple somewhere in the print. I've made this quilt before but with larger pieces. 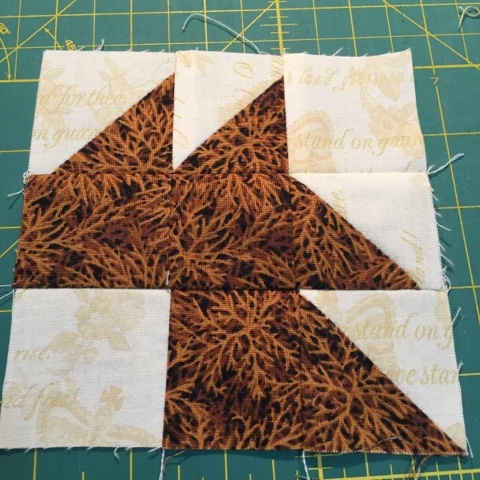 The little four patch blocks are made from 1" squares. 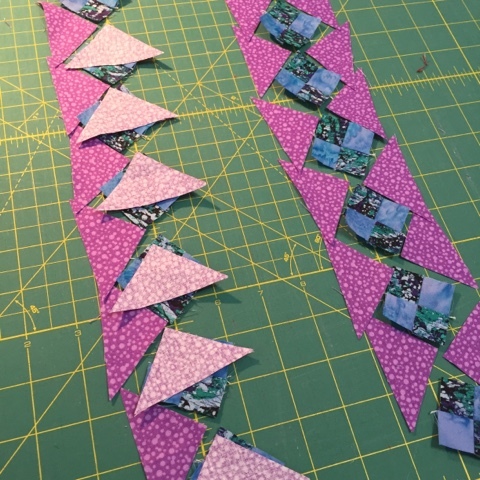 I had an off white neutral in mind for the triangles but this purple print was peeking out of a pile of fabric and I love the way it works with the blue prints. I find working with small pieces sometimes leaves me with pieces that don't quite line up straight. 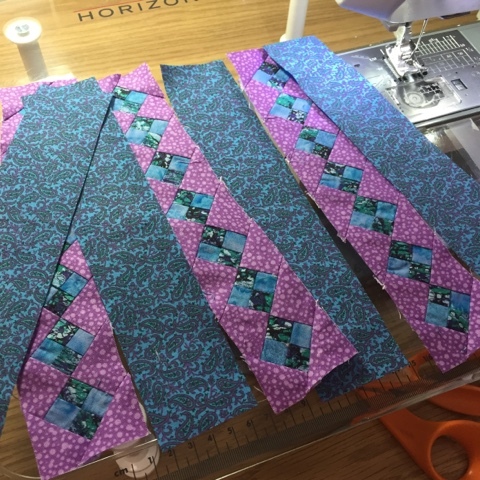 But when they are pieced with sashing or borders, they straighten up just fine. Add a border or no? 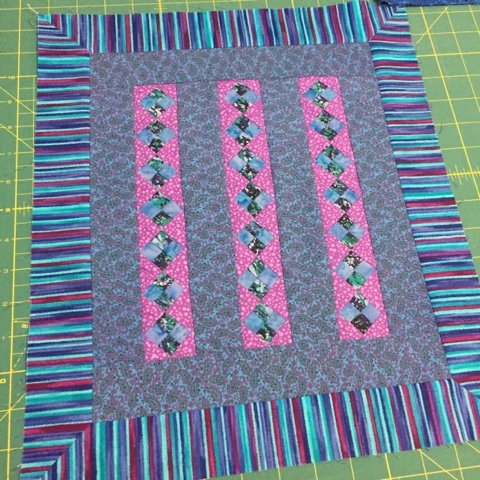 At first I thought no but this quilt needs something to balance the bright purple. So, . . .
Wow! That stripe takes this mini quilt from okay to awesome! I love it! I have some ideas for finishing this with something other than binding and I'll show you in a day or two.